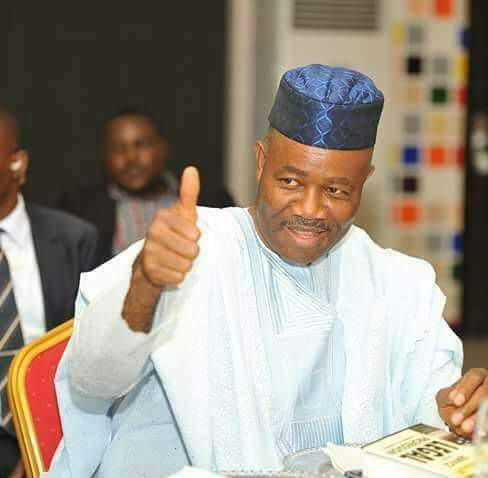 A group of concerned Nigerians under the umbrella of Civil Society Groups for Accountability and Probity have accused the Federal Government of shielding a former Governor of Akwa Ibom state and chieftain of the All Progressives Congress (APC), Senator Godswill Akpabio. The group also urged the Economic and Financial Crimes Commission (EFCC) to synergize with the Code of Conduct Bureau and the Code of Conduct Tribunal to ensure Akpabio is brought to book. Secretary-General of the group, Jonathan Ogwuche, who spoke on Monday in Abuja while making a submission to the EFCC, explained that the group is committed to the fight against corruption and strengthening of institutions, which the present administration and the EFCC have led with unprecedented milestones achieved already. He, therefore, called on the Federal Government to commence actions and activities that would lead to the prosecution of Akpabio. He noted that for such fight to be sustained, there should be no sacred cows, stressing that the Senator who has gotten his hands contaminated with proceeds of corruption and abuse of public also must also be made to face the consequence of their actions. The group recalled that in October 2015, the commission quizzed Senator Godswill Akpabio over allegations of fraud to the tune of N108.1bn following a petition by one Leo Ekpenyong and is still awaiting the outcome of that investigation as unfortunately nothing has been heard to that effect while the suspect moves around freely. “Consequently, sequel to our independent investigation, we want to bring the following crucial findings to the notice of your esteemed Office for further investigation and prosecution. “In 2007 Senator Akpabio claimed to have eight ( buildings, while in 2011 he declared 10 (ten) buildings. “Curiously however and of worrisome note, in 2016 following an investigative report by an online media, it was alleged that he was among those with properties in Dubai ( annexure 1)”, it stressed. According to the group, contrary to claims by Sen. Akpabio, “the following outlandish properties located at the underlisted addresses could also be traced to him as follows: Plot 5 Ikogosi Spring Close, off Katsina-Ala Crescent, Maitama-Abuja; Plot 28 Colorado Close, Maitama; 22 Probyn Road, Ikoyi, Lagos and Plot 23 Olusegun Aina Street, Parkview, Lagos”. “With the exception of a Bedford armour Bus which he claimed to be a gift, cars declared in 2007 were copied and pasted in 2011. This doesn’t represent the reality on the ground as he is known to move about in a fleet of cars. “His child, Iniabasi who is said to have a property (duplex) in Abuja (in 2007 declaration) (at Games village) acquired on 1-1-2005 worth a value of N16.9m has an annual income of just N350,000, while in 2011declaration, the value remains unchanged. “The source of the house is questionable. We can incontrovertibly submit that Senator Akpabio freely dished out the finances of Akwa Ibom State to his children, friends and other family members while corruptly enriching himself with same at the detriment of the State. “We thus humbly request that the Chairman of EFCC use his esteemed office and investigative arsenal to review all prevailing and emerging findings on the Senator to unravel allegations of fraud against him. “This investigation has become expedient in order to disabuse the minds of Nigerians with the notion and perception that the anti-corruption war has some sacred cows. 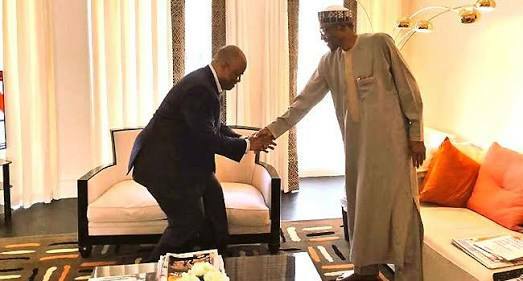 If the Chief Justice of Nigeria can be dragged before the Code of Conduct Tribunal, we see no reason why Sen. Godswill Akpabio is being shielded from prosecution. “Therefore, in the spirit of equality before the law, the EFCC is hereby called upon to synergize with the Code of Conduct Bureau and the Code of Conduct Tribunal to ensure Akpabio is brought to book”.